"Forbidden fruit? 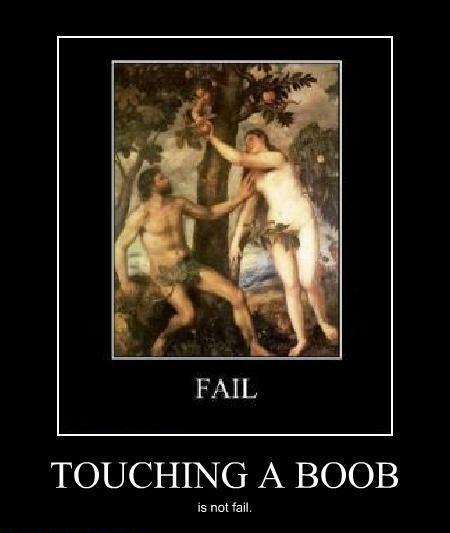 We got forbidden fruit?" "Hey, Eve . . .we got forbidden fruit." "Don't eat that fruit ! 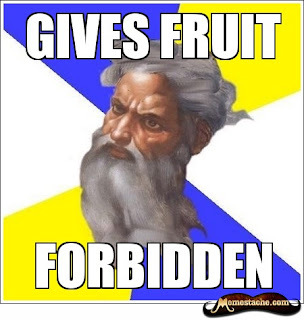 said God. "Didn't I tell you not to eat that fruit?" the God asked.